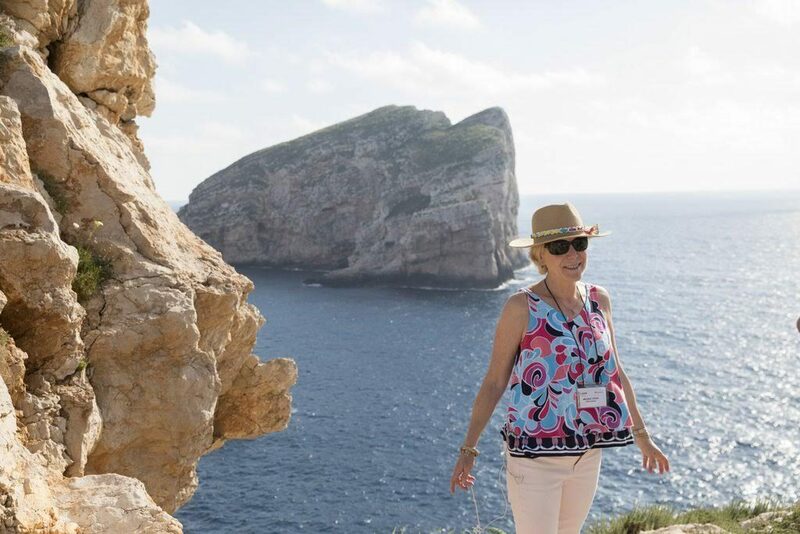 The wisp of a fresh sea breeze and the soft scent of wildflowers and Mediterranean brush remind me of a recent trip to Sardegna just before summer crowds of tourists flooded the island and just in time to taste some newly released wines. 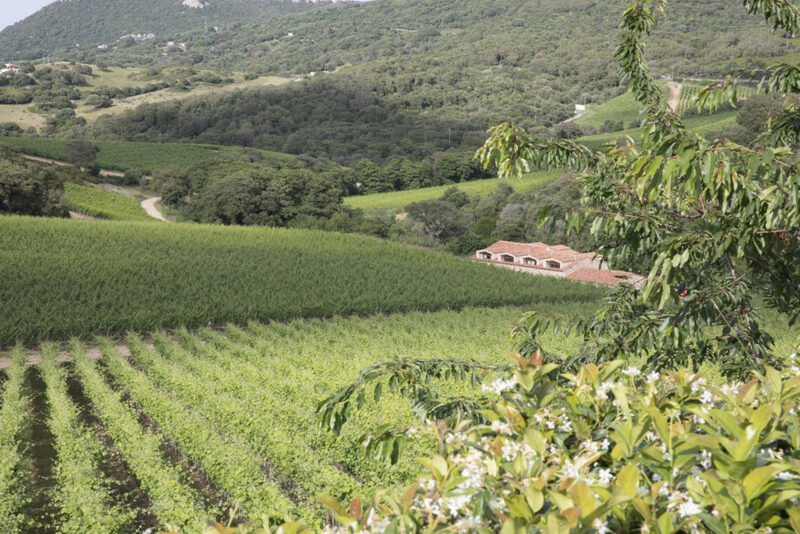 My trip was an immersion experience to learn about Vermentino, a light-skinned white grape that produces vibrant citrusy high-acid wines that make you salivate for a plate of fresh shellfish or just-caught, lightly grilled branzino with fresh herbs. Vermentino is also cultivated in Corsica, where it’s called Vermentinu and in parts of Languedoc-Roussillon, where it’s called Rolle. 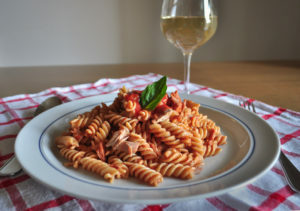 In Liguria, it’s known as Pigato, and in Piedmont, it’s called Favorita. In Hungary it is related to Furmint. Recently I even tasted a Vermentino from Australia. Seventy percent of Italy’s Vermentino is from Sardegna, where its production is strictly regulated to assure the highest quality wines. The characteristics of Vermentino wines vary slightly by appellation, thanks to different soils and vineyard elevations. All the wines I tasted reminded me somewhat of a Loire Valley Sancerre but with a tad more, albeit pleasant, salinity. 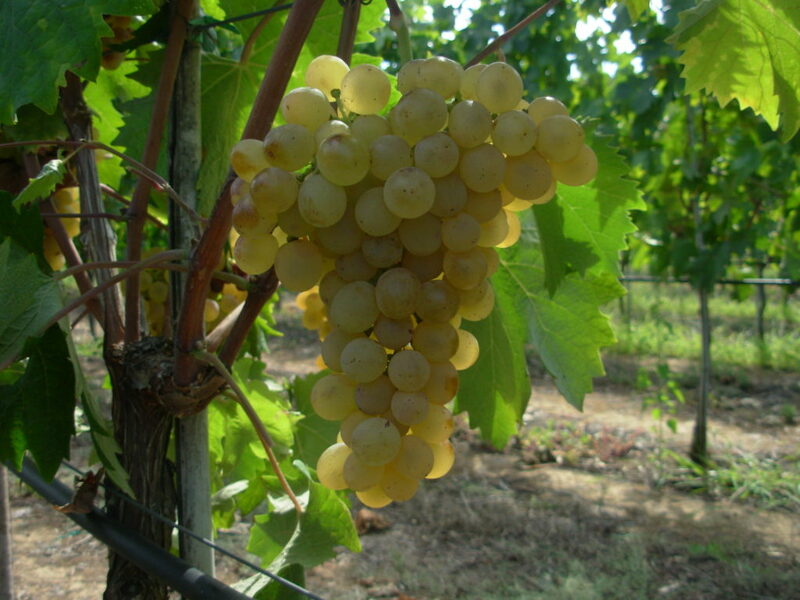 Vermentino is cultivated throughout Sardegna, but the wines of Vermentino de Gallura DOCG in the region of Olbia to the north of the island are considered the jewels in the crown. Here, the soil is more granite and limestone which lends a flinty character to the wines. To the south in Vermentino di Sardegna DOC the soils are more calcareous (clay, chalk) . Tasting these wines, I detected a much more floral and herbaceous character, much like the Mediterranean wildflowers I kept smelling throughout my trip. Vermentino wines should be served chilled, but not too cold. Given their Mediterranean provenance, they pair beautifully with seafood. 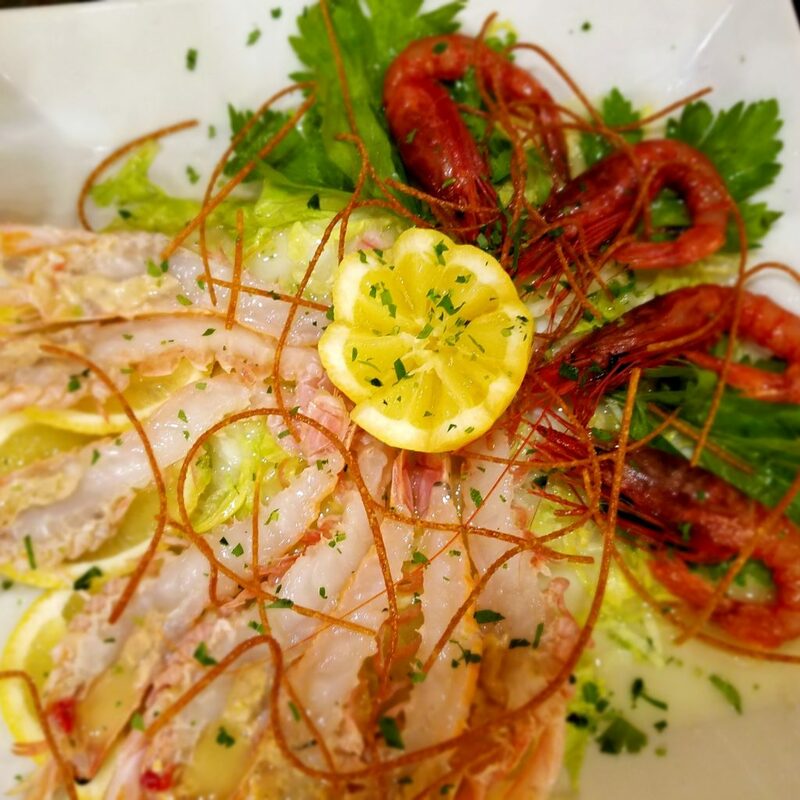 Fatty tuna, octopus, langoustines and sea bream are just a few of the seafood dishes I enjoyed during my stay in Cagliari. A special thank you to the agriculture marketing agency LAORE, who organized the trip. 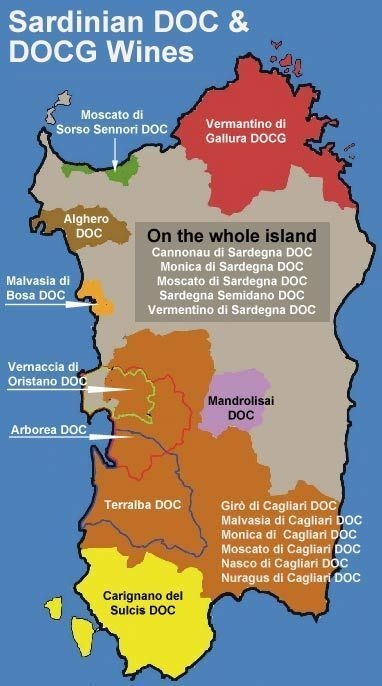 We all had the chance to taste a range of wines Vermentino wines from the north (Gallura and Alghero) and to the south around Cagliari, a bustling seaport and popular tourist destination. We met with dozens of producers at organizing tastings and meals. I found their local pride was as captivating as the wines. Sadly, there was not enough time to visit Sardegna’s world-classes beaches and take a dip in the sea or tour its many archeological ruins (we did visit one). That’s another trip, and I look forward to returning and exploring this beautiful island more extensively. This is the closest I came to the sea. the view was stunning! Meanwhile, I will savor the memory of the sea breeze, sun and wildflowers when I order a glass of Vermentino. 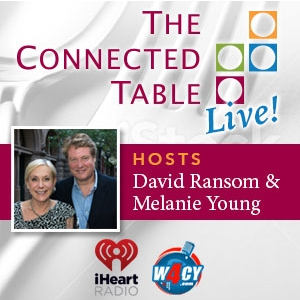 In this edition of The Connected Table SIPS! Donatella Muscianese, Agenzia Laore Sardegna, discusses key growing areas and styles of Vermentino: DOCG Vermentino di Gallura. Tenute Olbios. I really like this winery’s selections, especially the no dosage sparkling Vermentino called Bisso. 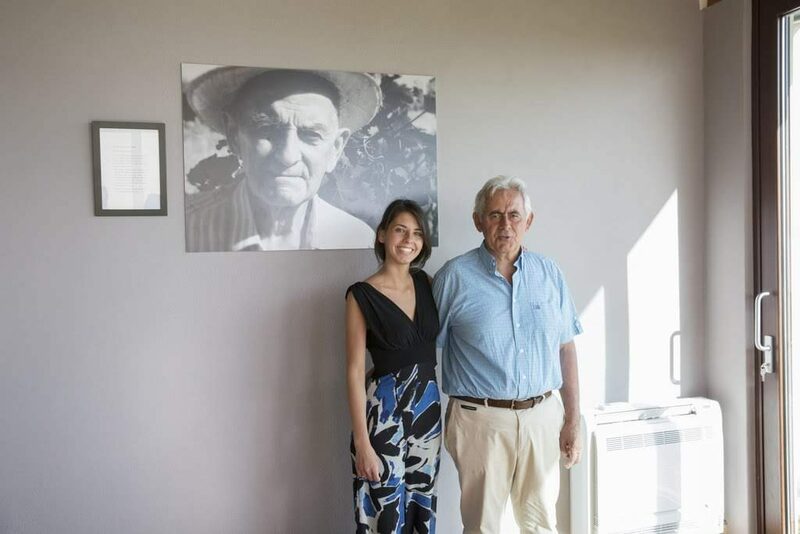 Argiolas – Founded by wine legend Antonio Argiolas in 1906, the winery is now run by his granddaughters and celebrates 80 years in 2018. Try Costamolina. (Winebow). Antonella Corda – Vintner Antonella Corda is a granddaughter of Antonio Argiolas who decided to create her own namesake label. Try Antonella Corda Vermentino di Sardegna. Cantina Auduraya -The word “auduraya” means “nobility of the soul.” This lively winery hosted a tasting of delicious local Argiolas cheeses as well as their wines which include other native varieties like Monica, Bovale, Nuragus and, of course Cannonnau and Vermentino. Try: Auduraya Vermentino. 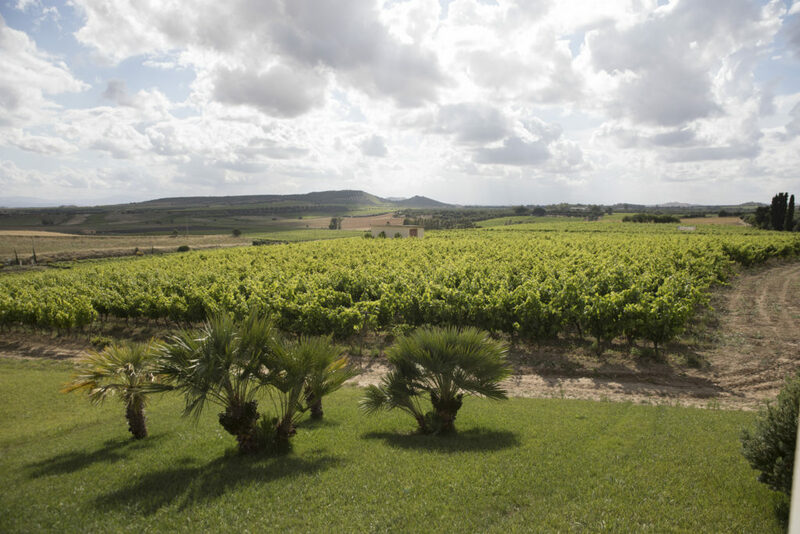 Cantina Santa Maria La Palma – Located in Alghero, this cantina is the largest producer of Vermentino in Sardegna. This winery produces a few Vermentino wines. Its bestseller is Aragosta (“lobster). I was partial to Vermentino Blu. Another interesting wine is Akènta is a sparkling Vermentino that is ‘cellared’ deep in the sea in the Porto Conte Natural Park. (MS Walker Imports and Bacchus Imports). Cantina Trexenta -All the wines tasted were exceptional. in addition to Vermentino, Cantina Trexenta produces wines from the indigenous Monica, Nuragus and Cannanou varietals. Try Contissa Vermentino di Sardegna. Akènta is a sparkling Vermentino that is cellared beneath the sea. 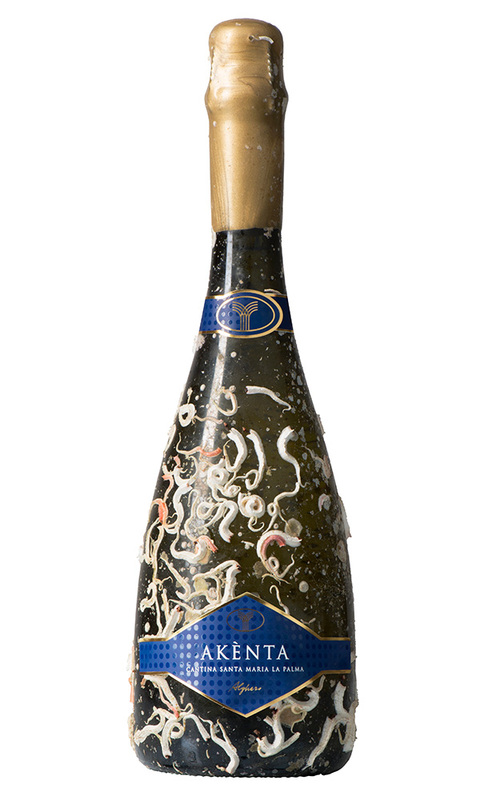 The bottle is a mosaic of sea creatures.